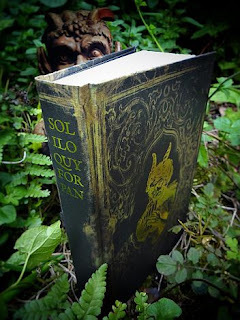 After the success of the first run of the excellent SOLILOQUY FOR PAN, a second printing will be available to pre-order from the Egaeus Press website on the 19th of September. The official publication date will be the equinox (the 23rd of September). The new printing will have a different Pan on the cover, and different endpapers. It will be limited to 200 copies, and cost £35, including postage worldwide. A further email will be sent out as soon as pre-ordering becomes available. It's worth noting that the first printing sold out in just 2 weeks, so get in fast!